India! An ancient nation of splendour, colour, bhangra music and terrible soap operas (I should know, my Indian mother watches enough of them – that said, which country actually does soap operas well?). Not, perhaps at first, a country you’d associate with fine single malt whiskies, and yet the world is full of wonderful surprises. 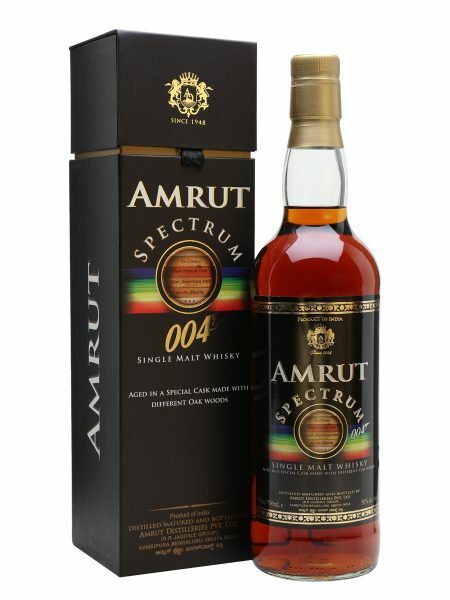 Amrut was a company formed in Bangalore in the very year for the deadline for independence from British rule, 1948, and has since blossomed into a large and very successful player in the whisky market. 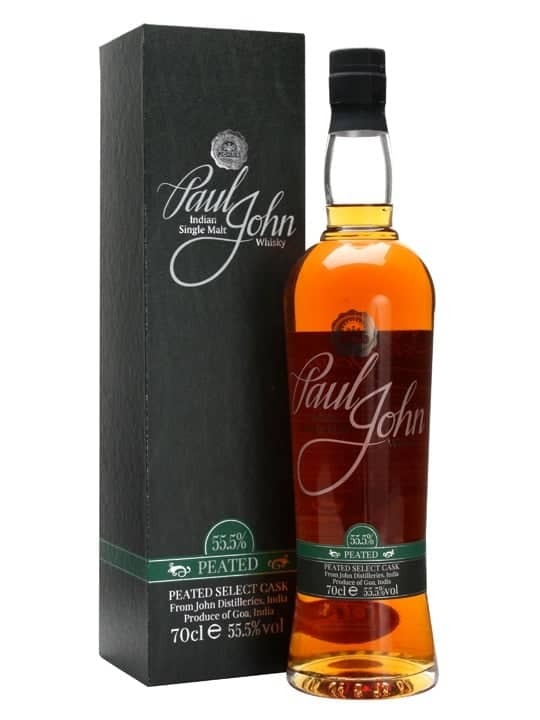 In recent years it has cracked the European market, and become a very well-respected brand with consumers, even taking a high spot in Jim Murray’s Whisky Bible. Its whiskies are now available all over the world. 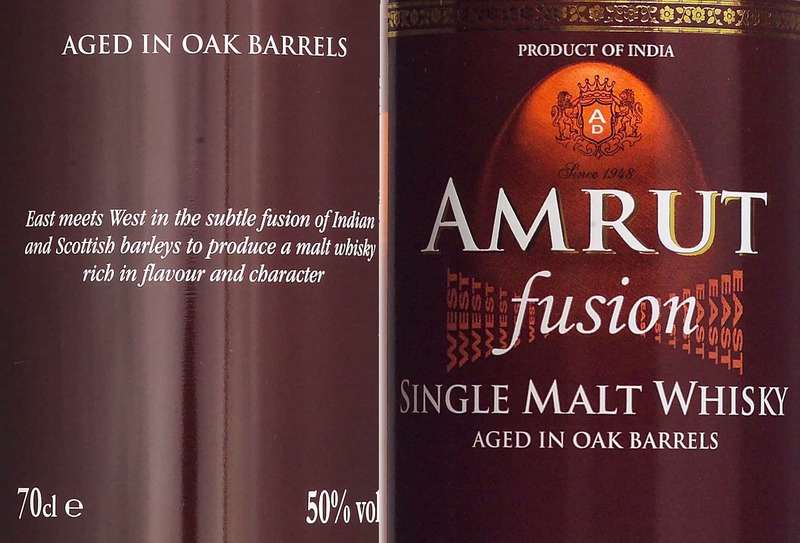 Amrut Fusion is, as the name suggests, made from a fusion of Indian and Scottish barley, and had performed well on the whisky awards circuit. It is bottled at a chunky 50% ABV. Colour: various tones of amber, straw and gold, depending on the light. On the nose: very thick and bold wave of maltiness, huge barley flavours, gentle peat and something a little sweeter and juicier. The nose reminds me quite a bit of the Bruichladdich Organic. Grassy and vegetative. Soft cheese, camembert. In the mouth: all of that comes through again, and there’s some lovely balance between the flavours. It’s a thick, juicy, malty, plummy, oaky sort of a dram. Lovely and warming. A very long and black pepper finish – leaving you with a very pleasing sensation. The intense barley experience seems to be the focus around which the rest of the whisky is be built – I guess considering this is a fusion of barleys, it only seems fair to put that centre stage. Extremely elegant stuff; very impressive indeed. I doff my cap to the people at Amrut. 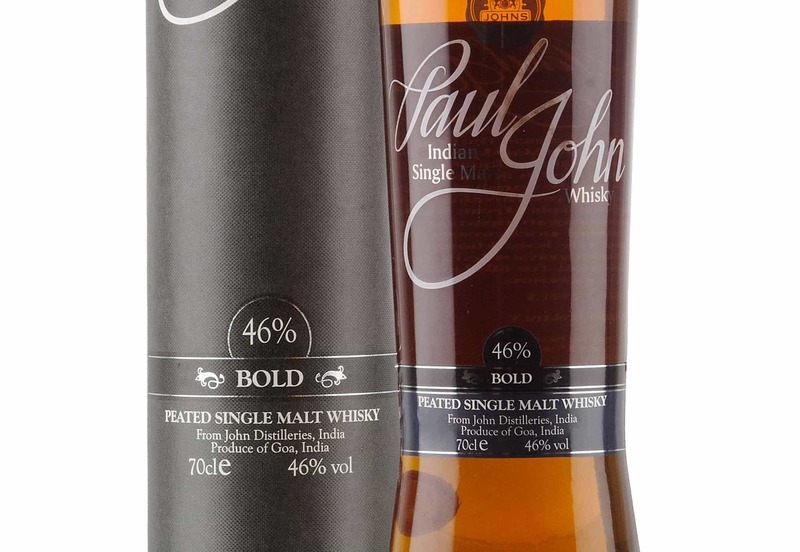 This is a superb single malt whisky, especially at the £40 level. It really goes to show that the international whisky distillers are every bit as good as their Scottish counterparts. Every serious whisky drinker should give this a go.